In Japanese there is a beautiful symbol, it can mean fate; destiny; a mysterious force that binds two people together. It’s no secret to anyone that reads my blog that the last several weeks have been difficult for me. What many of you haven’t seen is the out-pouring of love, which I have been the recipient. Friends, who I have never met face to face, in the midst of their own personal heartaches and struggles, have spent precious time checking in on me. I believe there are people I have met on here that I will know a lifetime and I sincerely hope this to be true. That Japanese symbol which refused to be posted, although I tried, sums up how I feel about many people, one in particular, who is gone from this world but bound to me forvever. Luckily, my friends are not the kind of friends that abandon you just because they haven’t heard from you recently. Along with the love, I’ve also received 10 awards. Thank you and please accept my apologies for taking my sweet time with this. Sticky Quote who couldn’t be any lovelier One Lovely Blog Award: (http://stickynotesandquotes.wordpress.com/2012/08/28/one-lovely-blog-award/) I’m going to make my own hodgepodge of acceptance and give you 7 things and then nominate 10 bloggers. I have not allowed anyone that I knew pre-blog to read this blog. It’s my dirty little secret. A few people know I have a blog, but I won’t give them the name of it. I’ve been known to watch the Maury show and scream “you are NOT the father” at the television. I know, I save it for bad days. When I was 8, I sang The Partridge Familys’ song I Think I Love You in front of my entire elementary school, on stage, with a microphone. That was the first, last and only time. Everyone is grateful for small favors. When I was a teenager I shaved the sides of my head and colored it purple. Keep in mind Sid Vicious was still alive and this was actually shocking. I also had my navel pierced long before Brittany Spears was born. She really screwed that up for me. I could never live further than a short walk from the ocean. My favorite movie is Moonstruck. It makes me miss home, crave a pizza and wish Olympia Dukakis were my mother. I’ve been toying with the idea of a tattoo of the symbol for destiny. I’ve always wanted one, but along with an incredible inability to commit in general, I have not been able to commit to any one tattoo. Please pick an award, play along or not. Just know how much I appreciate you all. Sending you all love! Well, I’m a sucker for an award! Honestly. I am very grateful that anyone wants to read what I have to say, much less award me with anything. Okay please humor me and play along. Thank you, http://forcingmyselfhappy.com/ I just recently started to follow her journey to a happier self and I have to say you’re not only brave but very sweet and interesting. I’m rooting for you! 3. Nominate other bloggers you think deserve the award and post on their blog to let them know they’ve been nominated. This is difficult. I will spare the several bloggers I adore and who I think deserve every award out there because they are so incredible, because they’ve already received most of the awards and because they will wish a pox upon me for giving them one more thing to do. You know who you are and they know where I live. Enough said. Wonderull, smart and funny. Enjoy! I talk about them all of the time, but the most important thing about me is that I am the mother of four children ranging in age from 28-16. Everyone is about to move up an age which clearly meant I desperately needed to get a winter hobby in my childbearing years. I adore them all. My second biggest fear is getting sick. Not just a flu, but incapacitated and reliant on others. I’m fine being there for others and have done it many times, but I am terribly afraid of ever being on the receiving end. What is my biggest fear, you ask? The inability to correctly punctuate even though I was an English teacher? Noooooo. It’s that something will happen to one of my kids. Whenever I would hear sirens my heart did a double beat until my youngest finally said, “for crying out loud Mom, they don’t put the sirens on to tell you bad news.” He is so much smarter than I am, although now I just shake when I see any emergency vehicle. I will turn 50 on December 10. I’ve tried to get it declared a national holiday but so far no luck except for one friend who agrees, or thinks I’m nuts and pretends to agree. I really never considered making it to 50, so I am incredibly pleased. I’m planning on redefining middle age and also living well past 100. The child with the worst record of being consistently nice gets “Depends” duty eventually. It’s my oldest son right now. He is praying for my continued continence. I just quit my job, started a new business and a nonprofit. When I tell people this they smile and say, “*That’s wonderful.” I suspect they also think I’m nuts, but that’s’ what they say about most people that live extraordinary lives. I’m so full of surprises I usually don’t know what I’m going to do until it’s done. Sometimes it’s great and sometimes it’s a hellish disaster. It’s been quite a ride. I always like to be learning something new. I just learned how to make pasta and made it with my son this week. That gave me more joy than I can possibly explain. I have been very fortunate to not only spew my thoughts on to these pages almost daily, but also have some of you like them. Thank you all for reading and bless you all for taking the time to comment. Many thanks to Paul …thanks for reading, thanks for appreciating and most of all thanks for writing. His inspiring and informative blog is always a pleasure to read. 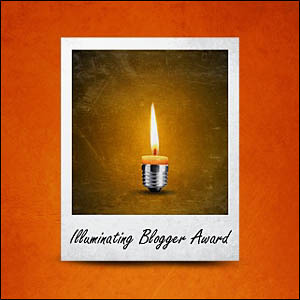 Thank you to Genie Speaks for nominating me for the Illuminating Blog Award. Yesterday started with an award and ended with an award. There were all kind of great happenings in between too. If I had to pick a “groundhog day”, yesterday would be high on the list. The best part of these awards are that I get to possibly introduce people that read my blog to some other really wonderful writers such as Genie Speaks. She is one of those writers who always has something interesting to say and says it in a way that you want to just pull up a chair and have a cup of coffee with her. Please take a look at her blog. Okay, now I have to share one random thing. I am not one of those people with a clear path, my life seems to be the stringing together of random things, but I’ll give you just one. I have had many jobs in my life but the one that I am most proud of, enjoyed the most, and did for free, was as area coordinator for an organization that brought children, ages 7-12, to the United States from Northern Ireland, mostly Belfast and Derry, for six weeks in the summer. These kids came from rough circumstances during the most recent worst of the “Troubles”. I raised the funds, placed them with host families and coordinated events and did a lot of promoting. I was even featured on the World News Tonight with Peter Jennings. Most importantly, this experience allowed my family to bring the same girl, Sarah, from Belfast back each summer for 10 years. She has become a lovely young woman and works with a community development organization in Belfast. 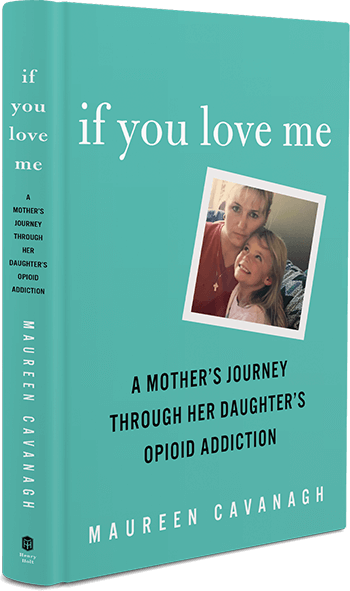 She always told me one day she would do something to pay me back for bringing her to the U.S. each summer. I always told her to pay it forward. Now she does, everyday. My wish today is that you have a day exactly like I had yesterday and that you all keep writing! 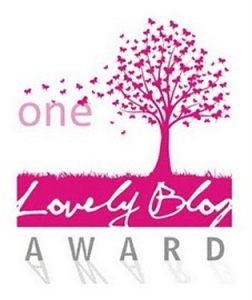 Oh my, I am so excited to say that I was nominated for the One Lovely Blog award. Now, to those of you who have been nominated for many awards the level of my excitement might seem, well, silly. I woke up my 16 year-old son before his alarm to tell him about the honor, which is clearly not wise. He gave me a high five or a fist bump or something that resembled swatting me away, I’m not really sure, and promptly went back to sleep. So I did a solitary happy dance, clapped a bit, and made coffee. I am having such a good morning!! Thank you very much to http://spilledcookies.com/. She’s smart and funny and has great insight (and terrific taste in bloggers) : ). Please take a look at her site, it’s worth the trip! * In an effort not to bore you all to death with myself I will add that on 6/8/12 I was nominated for the Lovely Blog award for the second time by Finding Beck . Smart, funny and a pleasure to read. Please go take a look. ▪ Link back to the blogger who nominated you. ▪ Paste the award image on your blog, anywhere. 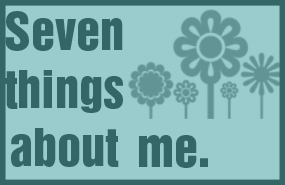 ▪ Tell them 7 facts about yourself. 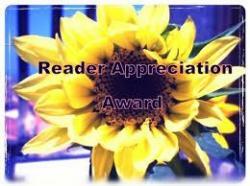 ▪ Nominate 15 other blogs you like for this award. ▪ Contact the bloggers that you have chosen to let them know that they have been nominated. Resume blogging your regular posts. When I was about six years old I would write and illustrate stories, staple the construction paper together, and go door-to-door in my neighborhood selling them. I’m sure I was very annoying. I have four children ages 28-16. They are the absolute light of my life, even when they are intent on driving me insane. I have two Master degrees and a year of law school and I still don’t know what I want to be when I grow up. I have recently switched to a vegan diet with the exception of fish. I can’t seem to give that up, so I officially and publicly apologize to all of the salmon I will eat. I am very excited about turning 50 this December. I like 50 and appreciate all of the very cool, interesting women who have made that birthday something to look forward to. (http://www.youtube.com/watch?v=kUECWLjPeSQ) I need to add Sheryl Crow to this list of fabulous 50’s. I have just recently started doing Pilates twice a week (see #5) and love my instructor. She challenges me to do things I didn’t know I could do. It carries over in my life. Thank you Alex. When I started writing this blog I published my posts so quickly, because I was afraid that if I didn’t that I wouldn’t, I would then have to go back in several times to correct grammar and punctuation. Now I just leave the mistakes alone. Anyone who reads it knows I’m not perfect already! http://goethesdream.wordpress.comWow, that was harder than I thought it would be. Please take a look at these sites. They will make you laugh and cry and more than anything they will make you think and re-evaluate your life, or atleast that is what they have done for me.Thank you.